I think it might be the most important notion there is in marketing. A few years ago, I went to a marketing workshop. It was all about how to use the meiers briggs personality types in marketing. Brilliant stuff if you’re ready for it. But I noticed that very few people at the workshop were ready for it. The woman next to me, a massage therapist, hadn’t even thought about the basics of her platform like ‘target market’ yet. She had so much foundation to lay before she could use what they were talking about. And yet she was at the workshop. How on earth, I wondered, did somebody show up to a workshop that wasn’t right for them? To take it even bigger – why is it that so many people end up being sold things that aren’t actually a fit for them? At the heart of a selling conversation, we’re really seeking to figure out if what we’re offering is actually a useful match for the other person. We’re not trying to push what we have on everyone. We’re not assuming it can help everyone. We’re just trying to share it with people who might dig it. The goal shouldn’t be, ‘how can I get the most possible people into my workshop’ it should be, ‘how can we fill this workshop with the perfect people for whom it will be the most useful’. When we try to figure out if it’s a fit, we’re not trying to be first in the market place, better than our competition or even trying to be different (though that might factor in). It’s relevance and resonance. It’s like looking at a garden – some plants grow well together and some will hurt each other. When you look at your potential clients – that’s the question to ask: do you grow well together? is there alignment? do you share important things with them? At the heart of it, they need to resonate with your platform. And that means you need to be clear about your platform. Which is where people get stuck and resort to ‘trying to sell everyone’. The answer to being pushy in sales and marketing is actually to step back and get crystal clear about who you are and what you’re offering. The clearer you are on your platform the easier everything will get. Figuring out who that might be can save us a lot of time and money. Once we know who it is we can know where to find them. We can write lovely marketing materials that speak right to them. It becomes so easy and fun to share what you have to offer. There’s no more trying to convince anyone of anything. You’re just doing your best to share what you have with as much clarity as possible and then letting them decide. It becomes a genuine process of conversation and curiosity rather than a ‘sales pitch’. How wonderful. Your clients will come back and spend more money with you because the first time was so perfect and useful for them. It was such a fit. They will trust you so much more when you say something will be ‘just right’ for them. And we can also dissuade people from buying who might regret it later because it wasn’t quite perfect for them. If someone insists on coming or buying from you, you can make sure they know where you see it’s not a 100% perfect fit so they won’t be surprised down the road. You’ll also have outrageously good word of mouth because the people coming to you will be perfectly poised to use what you have to offer. The initial instinct is to try to sort this out with demographics (e.g. age, gender, geography, income etc). But, as I wrote about a while ago, demographics are not enough. They’re an excellent starting point but we don’t want to end there. Try answering these questions about your clients and filling in the blanks (all related to your platform) and see what you come up with. You’ll notice that there are various clickable links (in purple) where you can read a bunch of blog posts that delve deeper into those topics. Before you get into it, you might want to read this primer on the elements of your platform. When you can fill this all in with clarity – you’ll be amazed at what happens to your marketing. Your perfect clients are _______ kind of person struggling with _______ (Island A) and, more than anything, they’re craving _______(Island B). What is the journey they’re on? What would happen in their lives (Island A) to let you know you were needing what you have to offer (your boat)? The perfect moment for me to leave their lives is ___________ (Island B or C). They’re passionate about ________ (the bigger cause). They’re deeply committed to ________ (the bigger cause). They’re intrigued by the notion that ______ (problem) might really be about ________ (point of view). They’re open to _________ (Island C) even if they don’t understand how that might work or be possible. If they found someone who could help you get ______ result they’d be happy to ______ (expectations). They’re fascinated by __________ (e.g. how shame plays a role in our lives, how to communicate better, be a better lover, raw food diets etc.). Carrie Klassen’s Pink Elephant Academy (guilt free, do it yourself marketing for nice people). 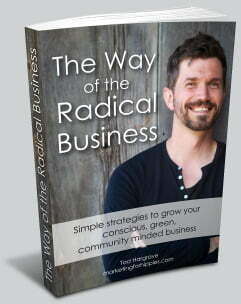 “The How to Create Your Free Gift” workbook could be profoundly useful to you if . . .
You are excited about growing your email list and, ideally, are using an online service like constantcontact.com or mailchimp.com etc. You have a crystal clear idea of who you are trying to reach, the problems they’re struggling with that you can help them solve and the results you’re excited to help them produce (and you can genuinely help them with those things). You’re not trying to reach and please everyone. You have (or are committed to) some level of specialization. You are willing to make a one time investment of at least 5 – 10 hours to create something really extraordinary. You have know a tech nerd in your life (or can get one or you are one) who can help you with things like: creating ebooks, online quizzes, video, audio or email autoresponders. NOTE: If all of these five things are not true for you – do not buy this workbook. It might also be a fit if . . .
You have a newsletter sign up box – but not many people are taking you up on it. You have the capacity to update your own website (or are in the process of setting one up). It could also work if you’ve got a reliable web person who does it for you. You think your home page is already pretty swell. It immediately let’s people know if they’re in the right place by naming who the site is for, the problems you will help them solve and the results you’ll offer. You have access to a web or graphic designer who can make you a fancy image of your gift. You like the idea of being generous with people you’ve never met. You’ve got so much to say! You feel like you have so many ideas and insights to share. People are visiting your website but you never seem to hear from them. They come and go leaving not a whisper of a trace behind them. Lots of traffic but little business. You might notice this list (once you finish it) is, basically, you. Or has a lot of overlap with who you are. And that’s a good thing. It means you’re on track. It means you’re working with people who are like you – and that makes everything much easier. on your homepage: you can give people a taste of who you work with here. 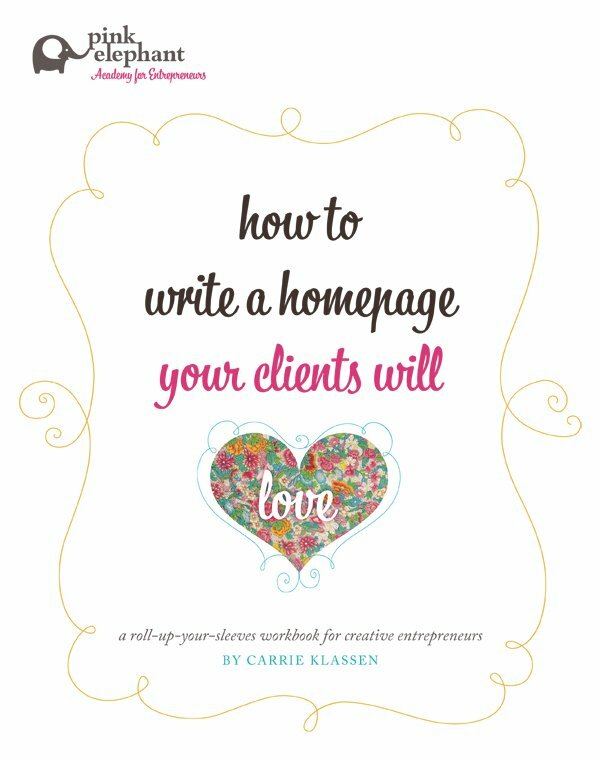 Carrie Klassen has written a wonderful workbook to help you do just that. write out the story of your ideal client: if you can, in story form, tell the story of what it’s like to be your ideal client it makes it so much easier for them to find themselves in your work. use this info to figure out your hubs: once you get crystal clear on who you’re trying to reach, it’s much easier to find them. Trust me on this. If you could sum this up into a half a page description and share it with people and ask, ‘where do you think these sorts of people hang out?’ you’d start getting answers. when talking about your products and services from the stage: this is, perhaps, my favourite application of all of this. If you’ve had the misfortune of going to a marketing workshop and been pitched and pushed to sign up for a program with manipulative hype and tactics. It feels gross. So, instead of doing this, you can just say, ‘So, I’ve got this thing. Here’s who it’s a fit for, here’s who it’s not a fit for. Here’s the special offer I want to give you today.’ Be clear. Share it. Let people make their own decisions. Everyone walks away feeling like you respected them vs. trying to ‘sell’ them.